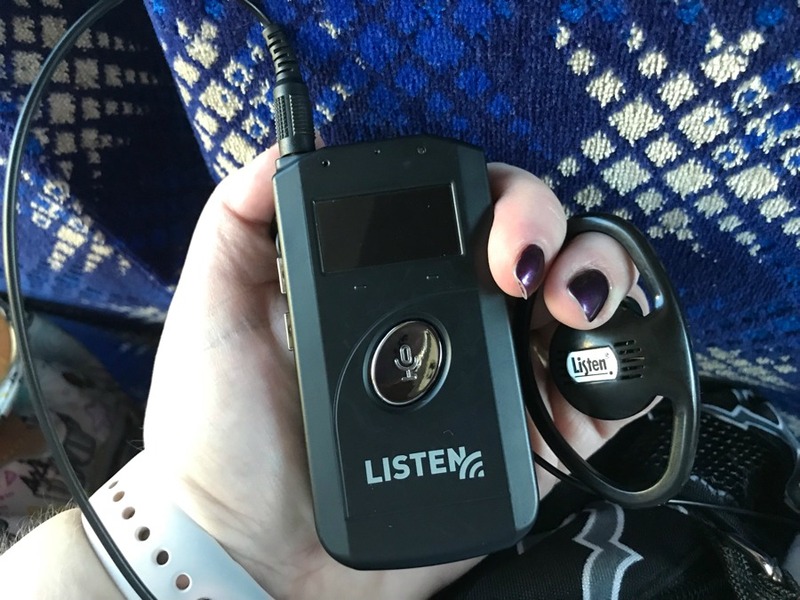 From the simplicity of a pad and pen/pencils to the sophistication of Handheld Captioning, there are a number of accommodations for guests with hearing disabilities. Guest Assistance Packets containing dialogue, flashlights, pen and paper are available at or near the performance areas or entrances for most shows and attractions. Guests should contact a host/hostess at the attractions. The schedule of interpreted performances is updated weekly and the current schedule can be downloaded here or guests may obtain one by e-mailing [email protected] Guests can also obtain a copy of this schedule at a Walt Disney World Guest Relations location upon arrival. Disney Guests who request this service will be contacted prior to their visit with an appropriate show schedule and to verify arrangements. Guests under 18 years of age must have parent or guardian permission to call. Additionally, arrangements can be made for other events and shows with a minimum two weeks notice. There is no fee for Sign Language assistance. Where necessary, contact Guest Relations to obtain information regarding the best location to view or wait for an interpreter. Guest Relations can also provide updated performance schedules, Assistive Listening Devices, Handheld Captioning receivers and remote control Activators for Video Captioning. Pay phones equipped with amplified handsets as well as Text Typewriters (TTY) are available throughout Disney World. The "Guidebook for Guests with Disabilities" as well as the Theme Park Guide Maps lists the locations. When you need to contact a Disney Cast Member at your resort when using a TTY, dial "9", then (407) 939-8255. This number can put you in touch with the Front Desk, Guest Services, Housekeeping, Engineering Services, etc. There is no charge for this call. Reflective captioning is available at most of the theater-type attractions at Disney World Resort. This system utilizes an LED display to project desired captions onto an acrylic panel positioned in front of the Guests. To utilize this system, Guests should contact a host/hostess at the attraction. NOTE: NOT ALL PORTIONS OF AN ATTRACTION EXPERIENCE MAY BE CAPTIONED. Caption-ready monitors are identified with a "CC" symbol and can only be activated by remote control. Single button activators are available at Guest Relations at the four Disney Theme Parks and require a $25 refundable deposit (must return item on the same day for refund). Video captioning can also be activated using Disney's Handheld Device ($25 refundable deposit is required). The Handheld Captioning units receive infrared signals from transmitters located at the rides/attractions. These transmitters prompt the unit (similar to a Personal Data Assistant - PDA) to display the illuminated text. Once it's activated at Guest Relations, it will automatically turn on when receiving a signal.